Handpicked Kalamata olives marinated with extra virgin olive oil, thyme, oregano, orange peel & red peppers. 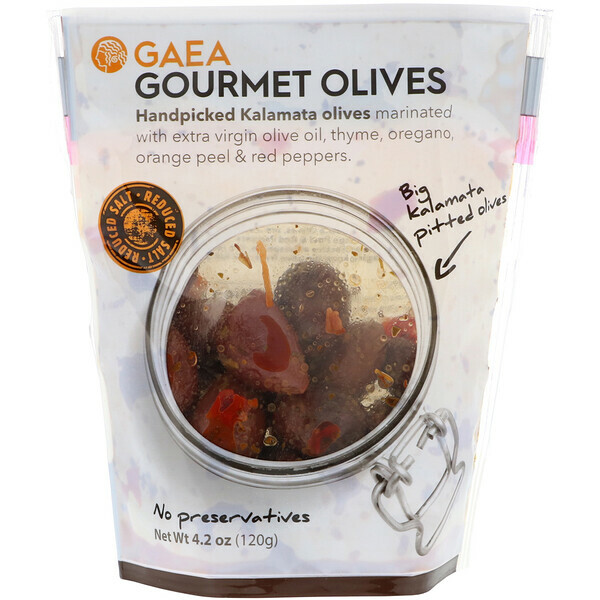 These handpicked Kalamata Olives, are marinated with Extra Virgin Olive Oil, Thyme, Oregano, Orange Peel & Red Peppers. 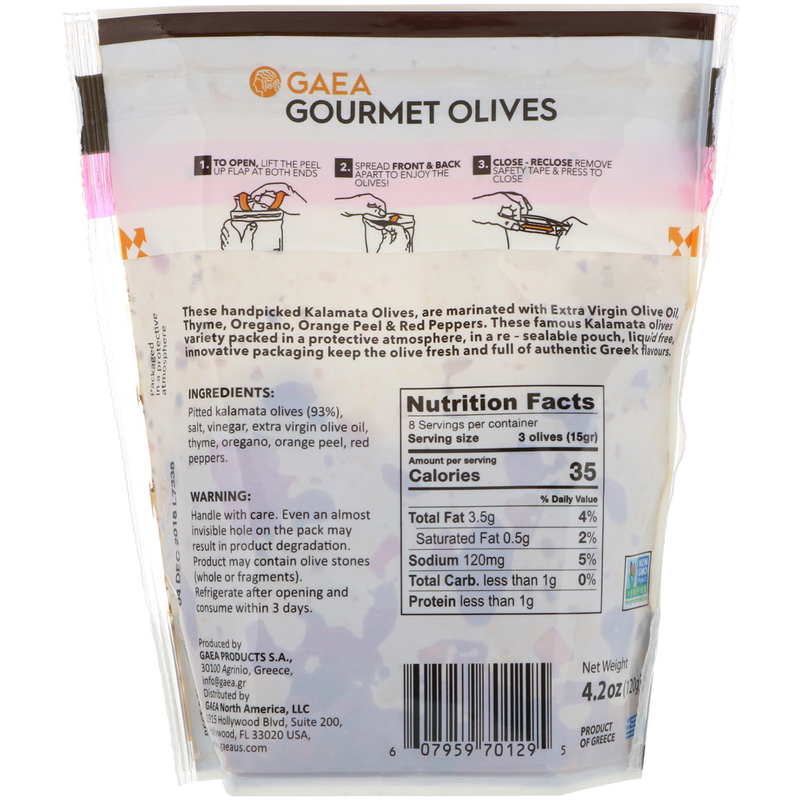 These famous Kalamata olives variety packed in a protective atmosphere, in a re-sealable pouch, liquid free, innovative packaging keep the olive fresh and full of authentic Greek flavors. Pitted kalamata olive (93%), salt, vinegar, extra virgin olive oil, thyme, oregano, orange peel, red peppers.